One of Texas finest parks. 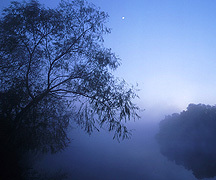 National Geographic Traveler magazine listed Brazos Bend as one of America's Top Ten State Parks! Located in Needville, Texas a short drive from downtown Houston. 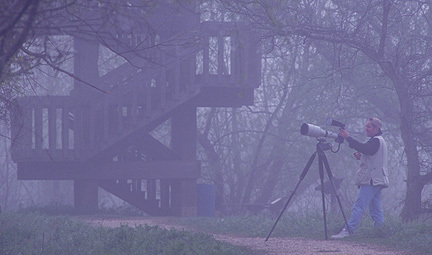 Each year Brazos Bend draws over 250,000 campers, hikers, bicyclists, picnickers, birdwatchers, photographers, stargazers, and recreation seekers. Brazos Bend has something for everyone. In 1992 birdwatchers from around the world converged on Brazos Bend to get a glimpse of the rare masked duck, spotted at Pilate Lake just north of the observation tower. You can also see over 277 species of resident and migratory birds including roseatte spoonbills, wood storks, barred owls and on very rare occasions the majestic bald eagle. Brazos Bend also boasts a large population of mammals, including white-tailed deer, raccoon, bobcat, gray fox, coyote and the elusive otter. One of the most fascinating and abundant creatures at the park is the American Alligator, which has been known to grow to fourteen feet. 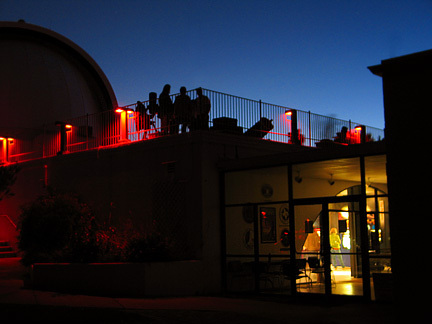 Every Saturday evening, stargazers gather at the George Observatory to peer into the heavens through one of the three large telescopes that are open to the public. Other astronomers head to the platform on top of the gift shop and interpretive center to set up their own telescopes. These amateur gazers are very friendly and helpful and if asked are happy to answer your questions and let you peek through their scopes. Brazos bend has several large lakes, with piers. 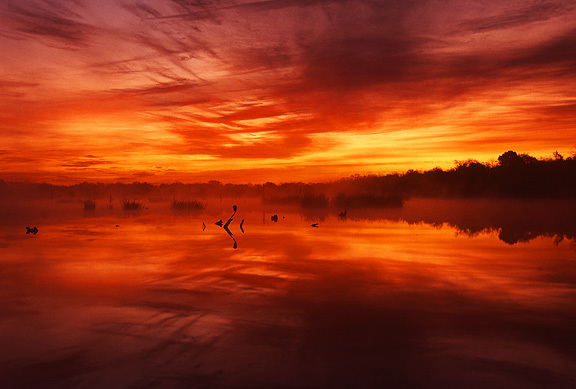 Elm Lake, 40 acre and Horseshoe lake are the most popular with visitors and animals a like. 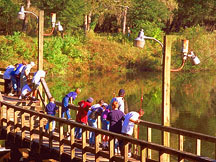 Both kids and adults congregate at the piers to fish and play. 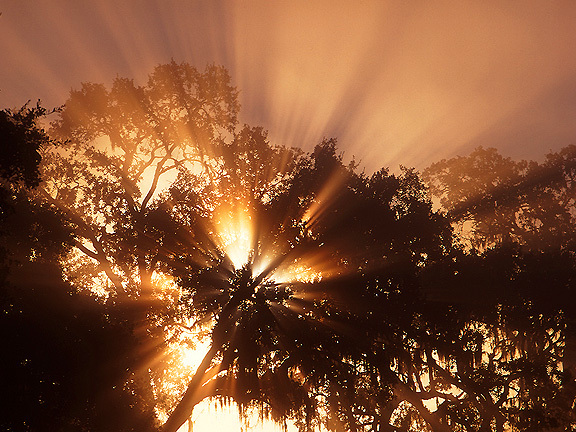 If you would like to catch a glimpse of "light beams", Brazos Bend is a great place to witness this beautiful weather phenomenon. During the winter months, after a freezing cold front blows through, when the air becomes clear and still ( usually a couple of days after the cold front ), make your way to the NW corner of Elm Lake one morning and you may be lucky enough to experience this stunning spectacle. 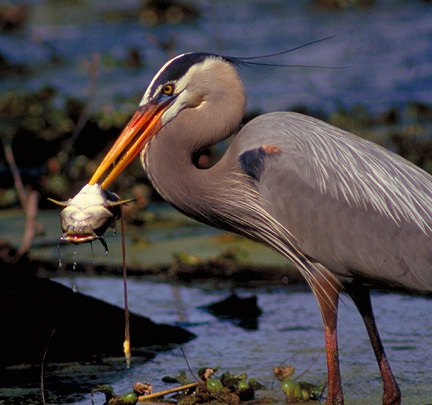 Wildlife watching is what has made Brazos Bend one of Texas' most famous state parks. 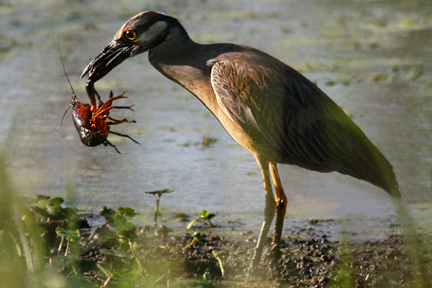 Birdwatchers come to Brazos Bend with hopes of adding a rare bird species to their list. Photographers ( both still and video ) are also a common sight along the trails, usually crouched low to the ground, tripod extended, intensely focused, patiently waiting to capturing that award winning photograph. Please be friendly, there's plenty of room for everyone, a little courtesy goes along way. It doesn't matter if your a birdwatcher, hiker, photographer or biker, everyone's there to get away from the city and enjoy the outdoors. 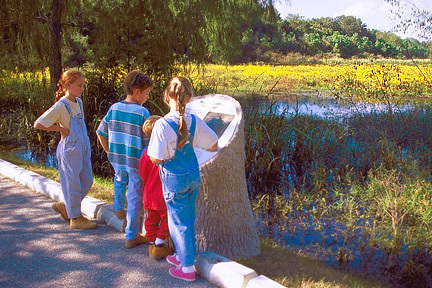 Kids check out one of the interpretive panels along the Creekfield Lake Nature Trail. This .05 mile long trail is paved and offers a boardwalk and observation deck. Specifically designed for the disabled, one of the first of it's kind for the department. Hike and bike trails are located around 40-Acre, Elm and Hale Lakes and interconnect. Directions: The park is approximately a one-hour drive from downtown Houston. Take Highway 59 South to the Crabb River Road exit. You may also take State Highway 288 south to FM 1462 West. Follow FM 1462 to FM 762 North. From the south follow State Highway 288 North to the FM 1462 exit or take State Highway 36 to FM 1462 East. All routes are marked with brown signs to guide you. Schedule: The park is open 7 days a week year-round except when closed for emergencies or scheduled closures. Gate Hours: Friday, Saturday and Sunday the park opens at 7am. Monday through Thursday the park opens at 8am. The gate is closed at 10pm each night. For more details, call the park at 979/553-5101 or Park Information at 1-800-792-1112. Note: Information and prices are subject to change. Please call the park or park information (1-800-792-1112) for the latest updates. $4 per day, per person 13 and older. Contact the Park to make arrangements and for pricing.